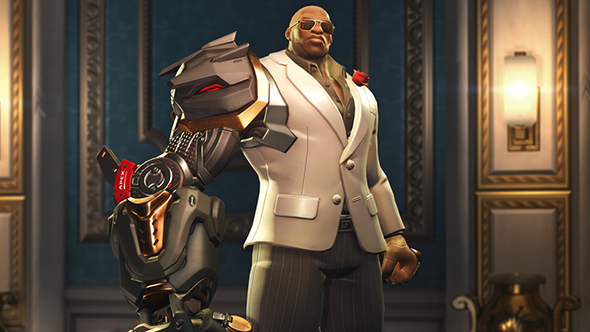 Overwatch’s second Anniversary event has gone live today, complete with new skins, deathmatch map Petra, and a walk down memory lane with reactivated brawls from throughout Overwatch history. Logging in today will grant you a free Legendary Anniversary Loot Box, which is guaranteed to drop a Legendary skin – I got the new Shieldmaiden Brigitte – and can contain items from past events. Regular Anniversary Loot Boxes are available to purchase and as regular level up rewards. The reactivated brawls will cycle daily, and the first one back up for play is Lucio Ball. The new free-for-all deathmatch map, Petra, is also available for play. Overwatch and more make up the best multiplayer games on PC. If you’re new to the whole Overwatch thing, a free weekend will get underway on May 25 at 11:00 PDT / 14:00 EDT / 18:00 GMT, lasting until midnight PDT on May 28. The Standard Edition of the game is also half off for now, with the new Legendary Edition – which appears to be replacing the previous Origins Edition – available at a 33% discount. The new Legendary Edition includes the exclusive skins of its predecessor, as well as five Legendary and five Epic skins, including Okami Hanzo, Shrike Ana, and Mystery Man McCree. You can see all the new skins at theofficial Blizzard site, though you may have already seen most of them thanks to someearly leaks. Just try to act surprised, for Blizzard’s sake.